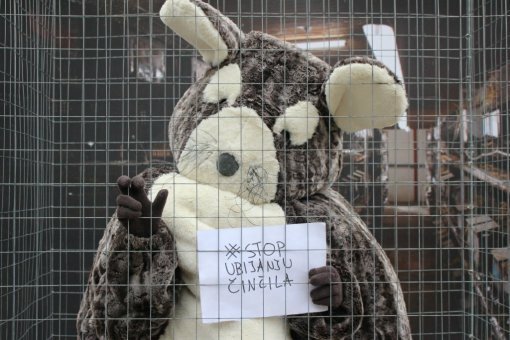 After the end of the election, independent parliamentary candidate chinchilla Chinchi stayed true to her election promises by continuing to publicly fight for chinchillas and all other animals bred for fur. At a media event on Friday, February 19, 2016 from 11 A.M. in Ban Jelacic Square in Zagreb, chinchilla Chinchi and activists from Animal Friends will invite the public to join her in a cage for a few moments or at least look at the photographs of fur farming which will surround her six-foot cage. It is an opportunity to just for a moment experience the miserable life of constant fear, uncertainty and hopelessness that animals spend in their squalid homes on farms. The meaningless life in captivity ends with electrocution, painful breaking of neck or gassing so that 200 small tortured bodies can be skinned for just one fur coat! 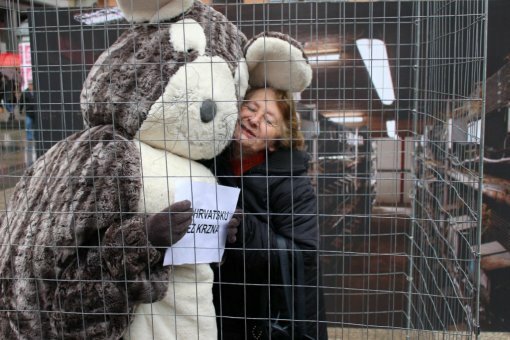 The Croatian Animal Protection Act that was enacted on January 1, 2007 recognized the fur industry as an extremely cruel practice and banned breeding animals for their fur, with a 10-year phase-out period. Croatian activists had hoped that, after almost a decade into the transitional period, animal suffering would have come to an end. Breeders of this adorable South American rodent have had more than enough time to transition to other, more ethical and humane forms of business. The existing ban should be fully effective starting January 1, 2017. 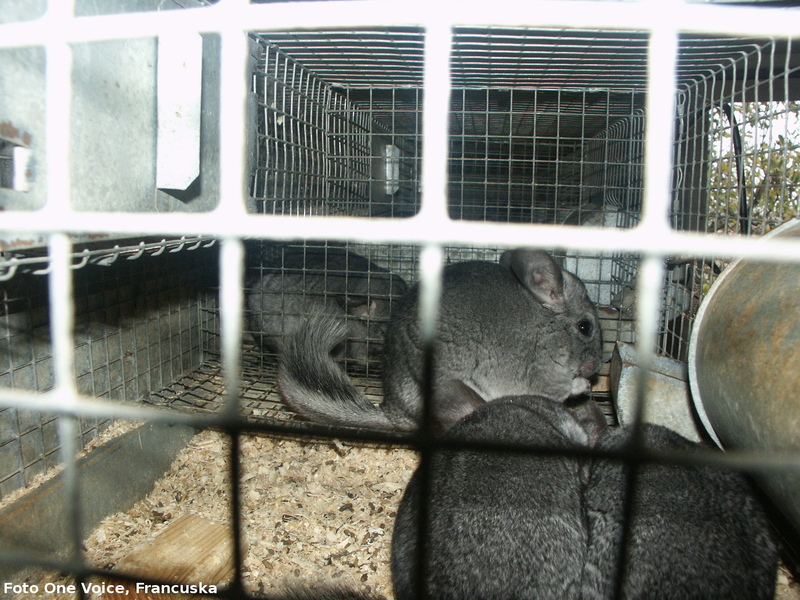 Nine years into the phase-out period, regardless of the vast majority of the breeders having complied with the ban, the Association of Croatian breeders of chinchillas has started an initiative to overthrow it. Their proposal to exempt chinchillas from the ban is paradoxical because chinchillas are the only animals that are bred for fur in Croatia. 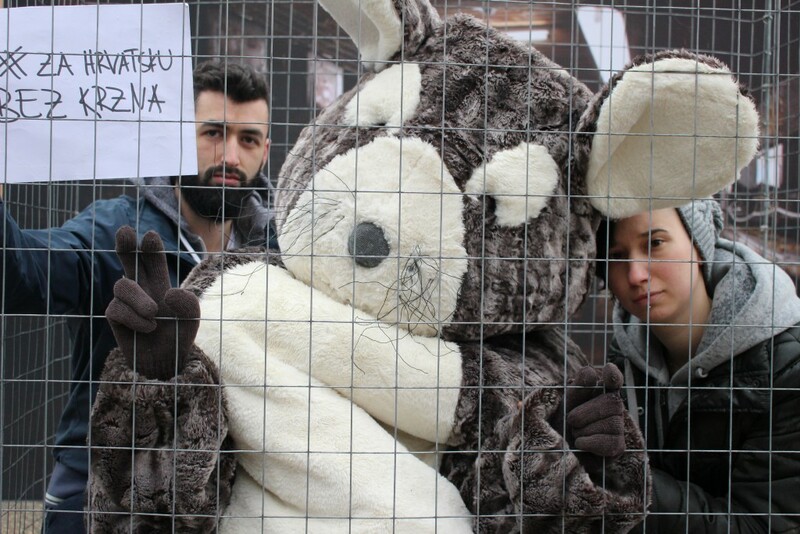 It is a mockery of the Croatian law, government, MPs and more than 70% of citizens, who supported the ban. 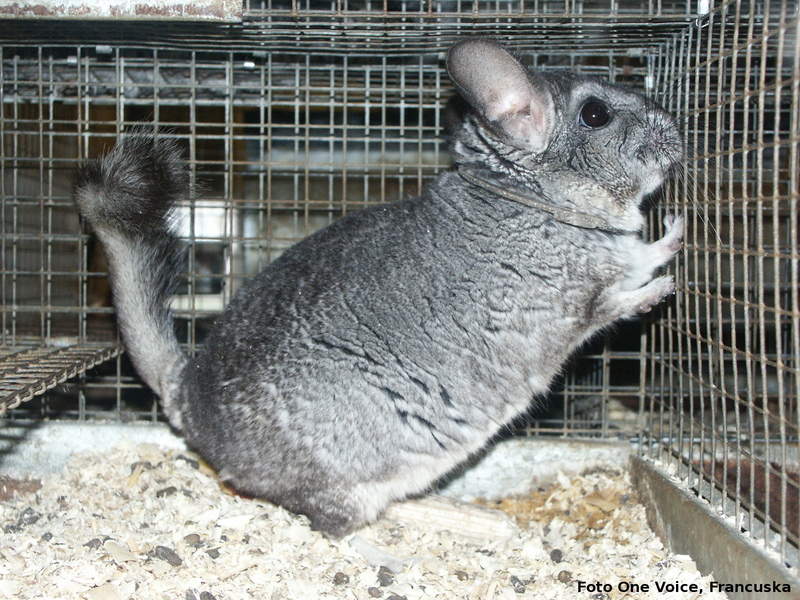 The welfare of farmed chinchillas is impossible to achieve. Fur farming is therefore banned in many countries, such as the United Kingdom, Northern Ireland, the Netherlands, Denmark, Austria, Slovenia, Bosnia and Herzegovina, Serbia and Macedonia, and effectively banned in Germany, Sweden and Switzerland because of their strict regulations. In the campaign, Chinchi also draws attention to environmental pollution by the fur industry. Fur is bad for the health of the workers in the processing farms and even for people who wear it because of the chemicals that remain on garments after processing. Because of all these facts, but primarily because of the danger to her species, Chinchi calls for help to save chinchillas and the existing law.